Mr. Leme an Executive in Residence Professor of Finance at the Miami Business School of the University of Miami. He is also the Chairman of Vinland Capital, a Brazilian macro hedge fund with headquarters in São Paulo, Brazil. 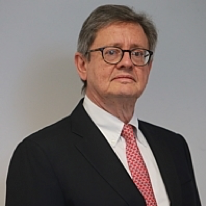 Prior to that, Mr. Leme spent 25 years at Goldman Sachs, where he worked as the CEO and Chairman of Goldman Sachs do Brasil Banco Multiplo S.A. and a Managing Director and Head of Emerging Markets and Latin America Economic Research. Mr. Leme served for 9 years as a Senior Economist at the International Monetary Fund, where he worked on economic stabilization and external debt restructuring programs with countries in Latin America, Africa and the Middle East. Mr. Leme holds an MA in Economics from The University of Chicago and a B.S. in Electronic Engineering from the Universidade Federal do Rio de Janeiro.